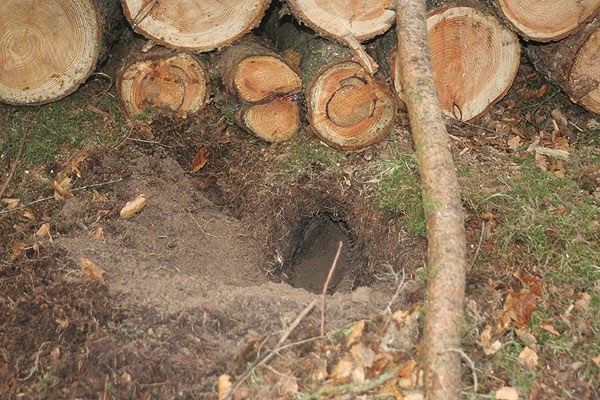 The rabbits have discovered its nice and dry under the log piles and been burrowing. 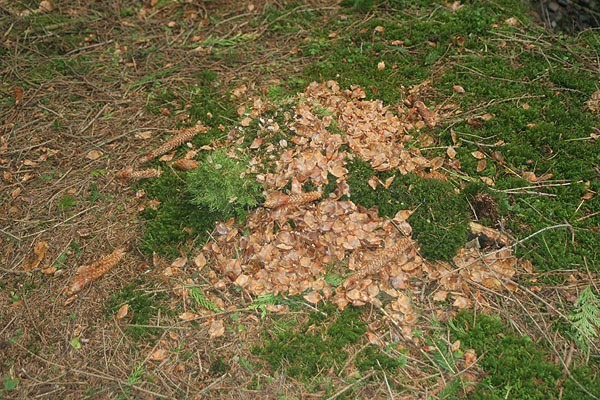 The woods are full of little piles of cone cores and scales often on mossy tree stumps with a good view of the surroundings where the squirrels have sat eating. 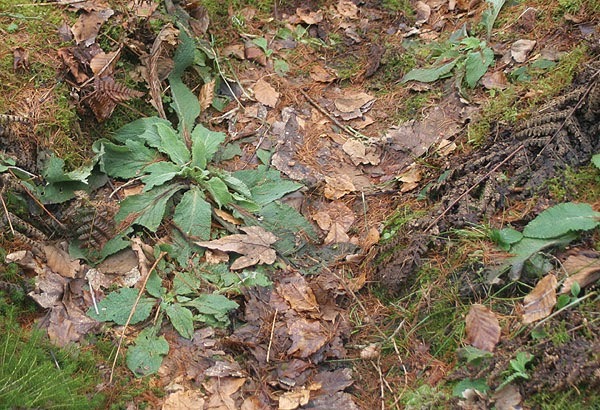 The foxgloves are coming through where we have cleared wood, they should look amazing in summer. 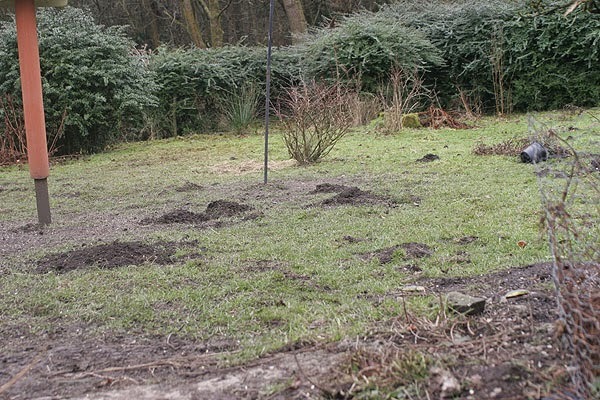 The lawn is a mess after the snow, the moles, wildbirds and pheasants feeding on it, its a good job I like wildlife. We've had a beautiful start to February, ok its cold but we've had lots of fine sunny days with clear blue skies and yesterday we sat outside in the sun having our lunch. 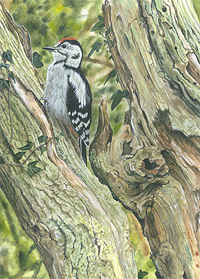 The trees are full of birdsong and the Nuthatches are back at the nestbox they used last year. 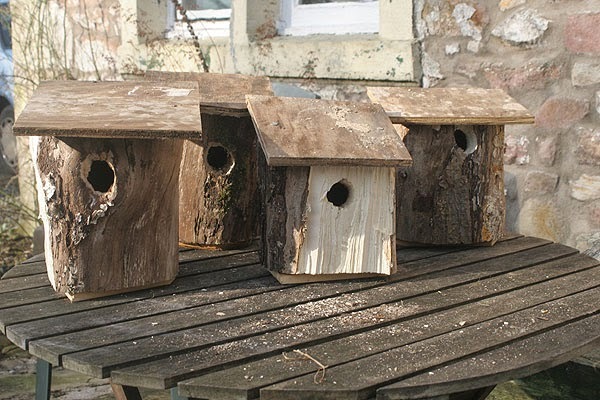 Barrie made four more nestboxes we just have to decide where to put them. All the wildlife are getting frisky we have a resident pair of rabbits back guarding the garden, two were fighting so hard they nearly ran into us when we were sat outside. One of the male pheasants is displaying at the females who just run off - there is still snow on the ground after all, what is he thinking. 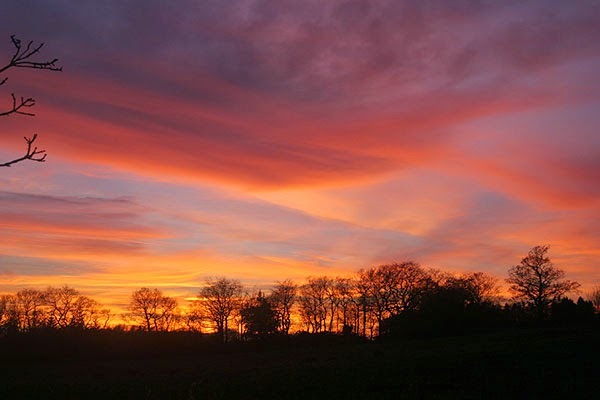 The sunsets have been spectacular, casting light on the mist in the valley turning it a violet hue and catching the tops of the larches a fiery gold. Barrie looked out into the garden last night and saw a deer close by the house outlined in the silvery light of an almost full moon. 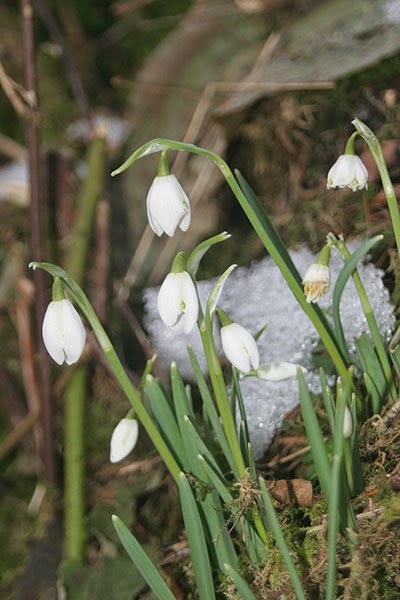 The snowdrops are out in the garden, "Candlemas Bells" as my gran called them, fitting for today.